You are looking at a very nice Vintage Schott Custom Steehide Leather biker jacket in a very rare large size 52. 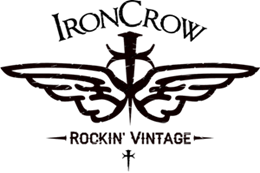 If you have been searching for the perfect vintage leather biker jacket in a large size that is hard to find and with a nice worn patina and in good shape with years left to her, this is the jacket for you . This size of jacket is not typical and normally you'd have to order one custom made in this size today and to have that done at Schott you are looking at a minimum of $650, you can get this real vintage Schott ready to go for under $400with shipping! While this jacket doe no longer has the Schott collar tag, it does have the typical Schott lot and size label/ tag in the left chest pocket (see photos). This jacket is heavy duty steer hide and she has been customized over time with snaps at the cuffs in lieu of zippers. If you desire to have zippers sewn back on the sleeves I can do so for an extra $50 fee. The jacket is just fine with the snap cuffs and to be honest a big man that fits this size of jacket will no likely be able to snap or zip the sleeve cuffs tightly anyhow. The jacket originally had the belt loops and belt but they were removed over time as many are and they were removed correctly and you can barely tell where they ever were to begin with and most bikers I know I don't want or use the belt and if you are just wearing it and not riding, it's fine without the belt. This jacket has a Talon main zipper and the old chain and ring zippers common with the jacket of the 1960's and into the 70's. This jacket has the padded waist and kidney belt area with snap adjustments and the rear sides much like many of the vintage motorcycle Highway patrol jackets. This jacket measures as follows: chest is 26" inches outside armpit seam to armpit seam, Sleeves are a nice long 25 1/2" inches , the shoulders are 22" inches wide shoulder seam to shoulder seam. The length down the back is a nice 26 1/2" long Better get this one while you can!